Yesterday the European Commission unveiled plans to establish a cross-border surveillance and tracking system which will allow border guards to share information and intelligence, helping in the fight against crime. The proposed European Border Surveillance System (EUROSUR) will allow border agents to track small boats – often used in smuggling operations – using satellite imagery, ensuring this information is passed between member states. The EUROSUR tracking system is expected to increase communication within and between states to prevent and tackle serious crime – such as drug trafficking and the trafficking of human beings, and to reduce the number of migrant deaths at sea. Under the EUROSUR tracking system, authorities responsible for border surveillance, such as border guards, coast guards, police, customs and navies, will be able to exchange operational information and cooperate with each other and with other non-EU countries. Tracking and communicating within and between Europe’s borders is no easy task. 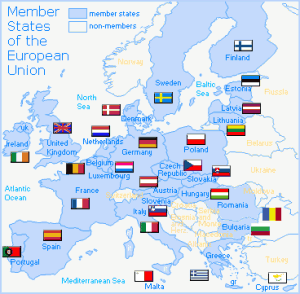 The European Union is composed of 27 sovereign Member States: Austria, Belgium, Bulgaria, Cyprus, the Czech Republic, Denmark, Estonia, Finland, France, Germany, Greece, Hungary, Ireland, Italy, Latvia, Lithuania, Luxembourg, Malta, the Netherlands, Poland, Portugal, Romania, Slovakia, Slovenia, Spain, Sweden, and the United Kingdom. The data sharing network is being built by Frontex, the EU border control agency, which has been testing data sharing networks capable of sending, receiving and processing classified and non-classified information on a 24/7 basis in close to real time. The EUROSUR border surveillance tracking system system is expected to be operational by the end of 2013.